Located in the south west of the island San Antonio Bay Ibiza is an extension of San Antonio which wraps around the opposite coast to the main town. 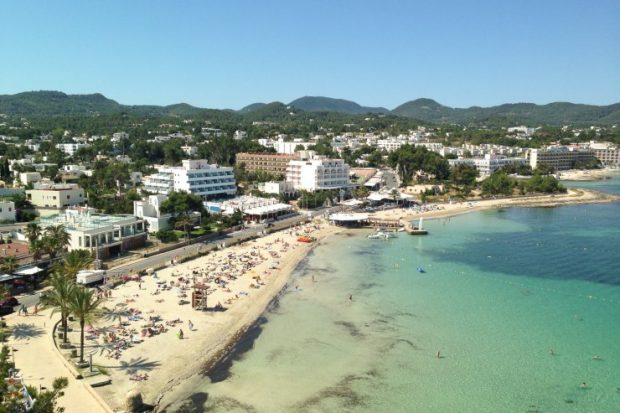 It is a predominantly tourist area with several beaches along its length, a variety of restaurants and bars as well an abundance of accommodation. San Antonio Bay makes a great place to stay with everything on hand to make a lovely holiday but also within easy reach of San Antonio town, offering links to the rest of the island. With 5 beaches in total across San Antonio Bay this is a popular evening walk along the coastal path, be it the whole length or just part way stopping off at the beach bars for refreshments. The beaches are Es Puet made up of fine golden sand with shallow waters perfect for children to play in. Round the headland is Playa S’estanyol which is made up of two coves both with sandy beaches and shallow waters. Moving on you will reach Playa Pinet where you can catch the ferry to and from the main town of San Antonio and it has soft sand and has watersports on offer. The last beach is Playa Xinxo (also known as Playa Bella or Cala de Bou) the golden sand faces inland and is very sheltered and perfect for relaxing on. 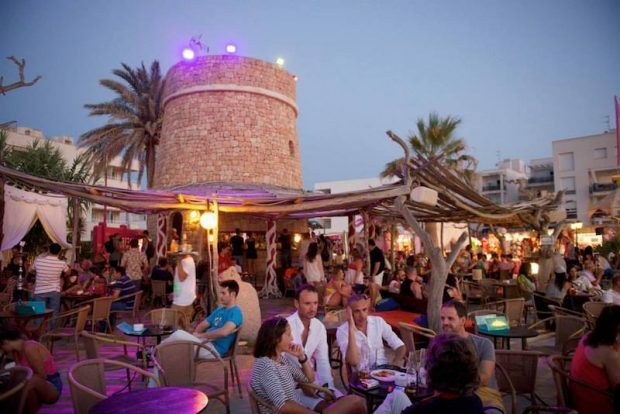 A few steps on further round the coast is a small beach where the famous Kumharas sunset bar and restaurant is located – simply a must do for anyone staying in San Antonio Bay. At the far western end of the resort is Port d’es Torrent which sits just out of San Antonio Bay. This is a beautiful deep water inlet with a large beach with gentle slopping shore perfect for swimming and snorkelling. 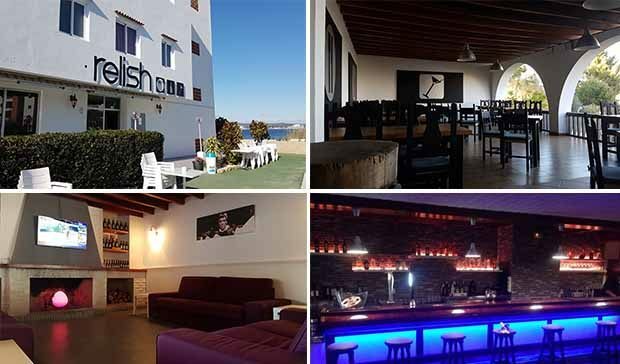 There are an abundance of restaurants throughout San Antonio Bay to suit all tastes and we highly recommend Relish Bar and restaurant overlooking Playa Xinxo. With a host of bars offering live music and DJ playing you will never go short of evening entertainment in San Antonio Bay. 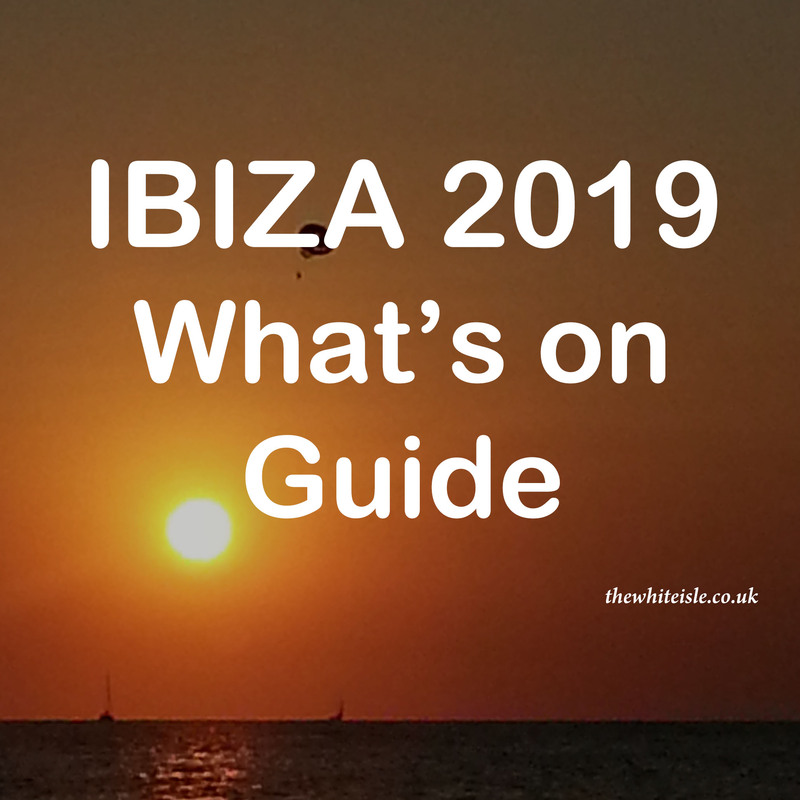 For those who want to experience a little more San Antonio Bay is only a short ferry, bus or taxi ride from the super clubs Es Paradis and Eden or daytime venue O Beach. Away from the beaches which offer water sports in abundance there are a lot of attractions for children of all ages mini-golf, rodeo, bouncy-castles and play parks. 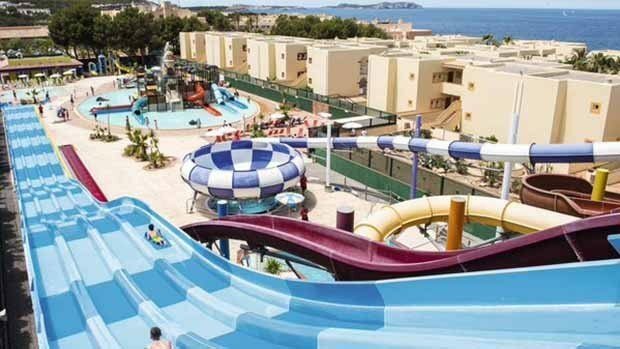 Further along the coast is the resort of Seaview Country Club with a waterpark suitable for those up to 12 years of age which allows day guests. 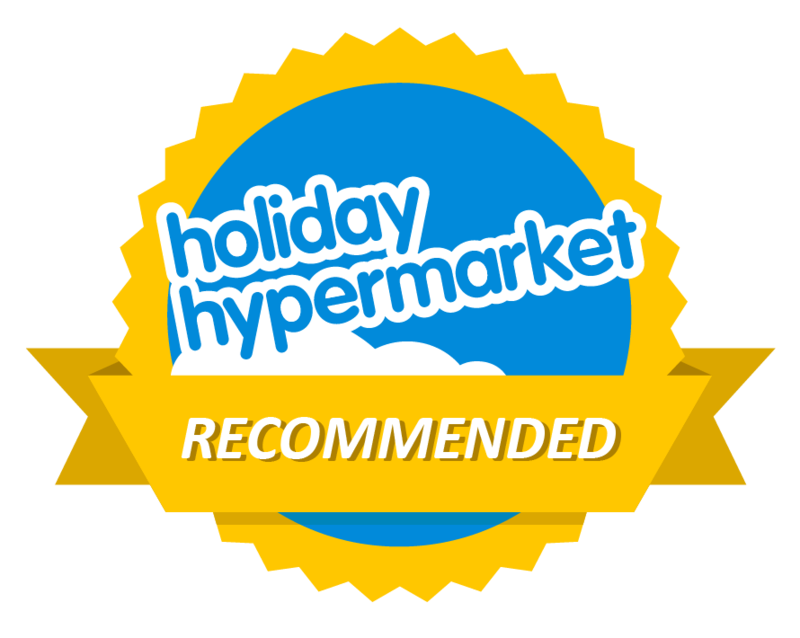 You can also hop on a ferry to the main town of San Antonio which provides great transport links to other areas of the island and activities a plenty. From the adults only Beach Star Ibiza or the new refurbished Sol House with its fabulous sunset roof terrace to the boutique and unique Paradiso Art Hotel, San Antonio Bay has accommodation of all types for all budgets with many having sea views as well as being close to the shoreline.